Get Current with Modern Design! Today’s homes have begun to resemble something from a futuristic catalog on the Jetsons. Not the exterior, but interior design has now become the American dream of comfort. No matter the shape of the exterior of the home, Americans have been able to bring the pleasures of vacation into their everyday living space. With so many styles to choose from, how do you know what new interior design styles fit you and your family? 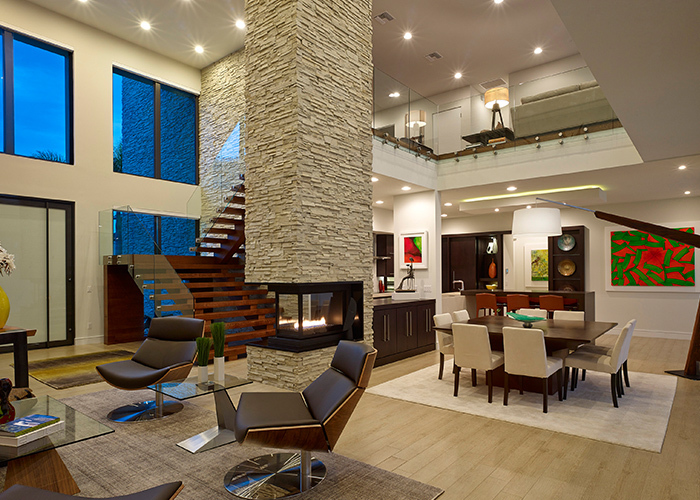 Modern and Modern Contemporary designs seem to be going in the direction of everyone’s tastes. The exotic futuristic furniture styles captivate guests and maintain and serene and peaceful vibration in homes. How do you become a part of the modern movement? Enchanting your friends and family with your love for life flaunted through your home design is a must, and many furniture design stores can help you for a generous price. Vincent Design Furniture and many others can assist in your change of furniture selection, to bring you into the modern age of inspiration and beauty. Mid-century modern furniture styles bring elegance and class to any room, while still being comfortable enough to relax after a long day’s work. The different geometric shapes played within the designs of these furniture pieces, creates unusual reactions in our brains which makes our homes more exciting places to dwell. An article related to the effects of shapes on our brains has proven that the human mind prefers curves and swirls over straight and boxed designs. Another way humanity is breaking out of its boxes is with its existing décor. Curvilinear shapes are used to catch our attention not just in our homes, but vehicles, and public places are also showing their conversion to modern from the traditional ways of creating their products. Many public establishments have been the inspiration behind homeowners to change up their furniture and décor into something more spectacular. Square couches are out, and Round robust and curvy sofas are in! Bulky beds and Chester drawers are a thing of the past, now clean, sculpted geometrical designs with gloss and fluffy tufted tops are all the rage. With so many different styles of modern to choose from, anyone can find their personal favorite. Different styles including, Contemporary which occurs with the times, all the way modern is more futuristic and sleek; some people may not be comfortable with completely throwing out all of their old furniture; contemporary modern includes vintage pieces to balance the time difference between the décor styles. Minimalist is a favorite among young people, keeping things neat and uncluttered while displaying shine glazed and captivating décor. Mid-century modern is preferred more by the older generations, because of the daring color schemes and patterns used when modern décor was first produced during the 19th century. After World war II, designs of vibrant, bold patterns, and darker woods, and industrial designs began to surface and lighten the gloom of war with a turn of change in the way of designing. Furniture began to be considered ornaments instead of pieces just used for everyday living. Everyday living needed more beauty and enchantment to continue the drive of humanity to its destiny, and modern designs brought the inspiration back into the lives of many.